Amazon.com Price: $22.29 (as of 2019-04-25 04:06:57 GMT) Product prices and availability are accurate as of the date/time indicated and are subject to change. Any price and availability information displayed on Amazon.com at the time of purchase will apply to the purchase of this product. Kolcraft partners with Sesame Street to provide dependable, developmental baby gear using the characters and educational elements Sesame Street has championed for four decades. 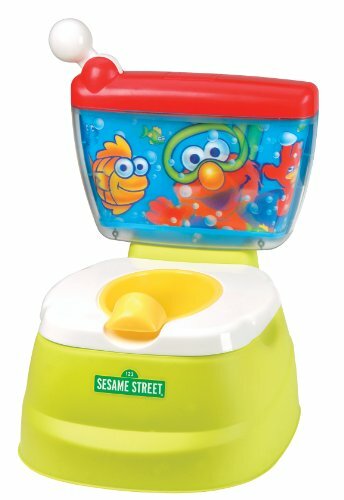 The Sesame Street Elmo Adventure Potty Chair with adult seat adapter resembles a real toilet to help the child’s transition to an adult toilet easier.